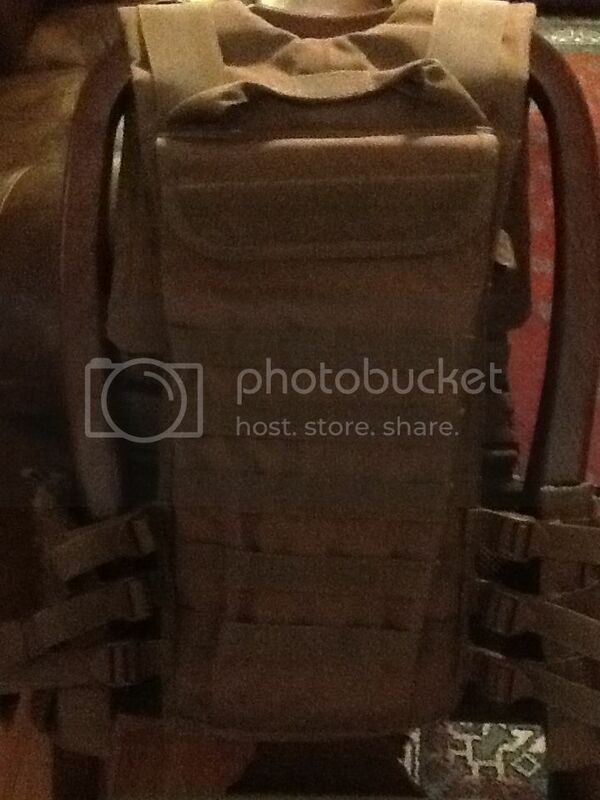 VooDoo Tactical Chest Rig in Coyote - also includes 2 extra double M4 Mag Pouches. 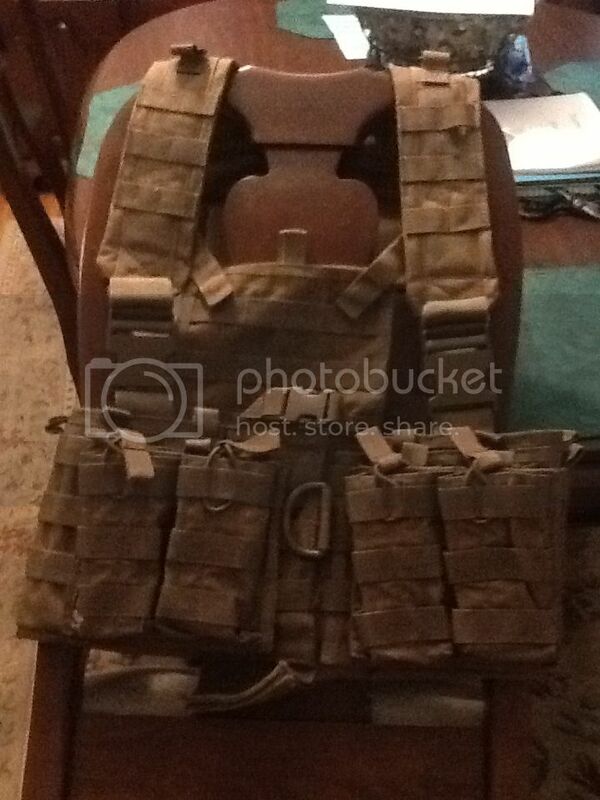 This chest rig has 6 - M4 internal mag pouches, so with the extra 2 double M4 mag pouches, you can hold 10 M4 mags. Has front Admin panel and rear hydration pouch, NO BLADDER included. NO TEARS, STAINS or SNAGS - IN EXCELLENT CONDITION - Wore one time in the field for about 6 hours. Fully adjustable padded shoulder hardness with elastic keepers and quick-release buckles. Girth adjustment straps on each side with hook-n-loop plus snap waist closure. 6 front open-top M4/M16 mag pouches with cool-mesh lining. Universal straps for the addition of modular components. Back rescue grab handle and flap-covered hydration bladder carrier. One size fits all. Chest Rig retails for $56 and extra M4 Mag Pouches retails for $16 each - so total retail is $88. I'll take it. PM me with payment details.